But it is very helpful. And very FREE. Findagrave.com is a volunteer based website. 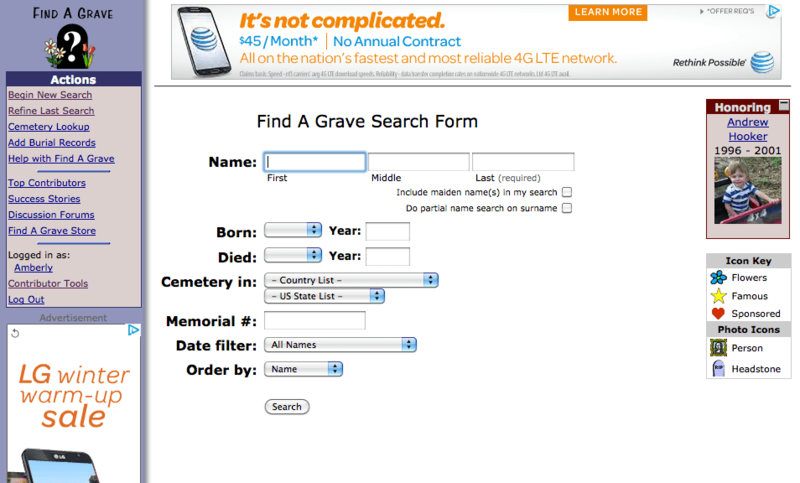 Volunteers add new cemeteries and listings, upload photographs of headstones, personalize and manage memorials, respond to photo requests and questions. It is a community effort to create free access to cemeteries around the world. Some findagrave entries are very detailed like this one for my fourth great grandfather, Joseph Skeen. Other entries are more basic like this one for my second great grandmother, Alice Hyde Duval. Try it out today. Search for some family members. No account necessary. Or go a step further, create your free account and become a volunteer. See how this great website can help you grow your tree.